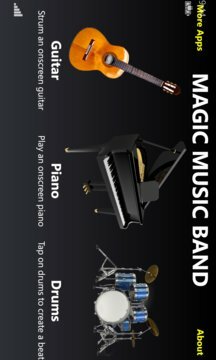 MAGIC MUSIC BAND is the best Touch Music Instruments app for Windows Phone. 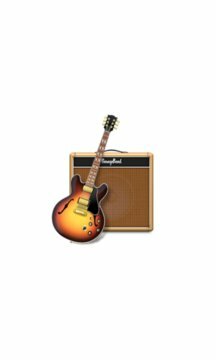 Do you like GarageBand on iPhone or iPad? Now, MAGIC MUSIC BAND turns your Windows Phone into a collection of Touch Instruments — so you can make music anywhere you go. Use Multi-Touch gestures to play a piano, guitar, and drums. Enjoy this app and rate 5* if you like it.